Coastal Action has 25 years of experience in environmental monitoring and management. With skilled, trained, and certified employees, we are happy to provide our expertise and service. Please contact services@coastalaction.org for details and quotes. Coastal Action offers fish rescues and electrofishing services for a variety of projects, including – but not limited to – scientific research, abundance studies, construction, compensation, and restoration efforts. With certified operators and equipment, Coastal Action is available to provide these services across Atlantic Canada. With years of experience behind us, Coastal Action is pleased to provide fisheries research as a service. Fisheries research can include abundance studies, invasive species confirmation, migration tracking, and more. 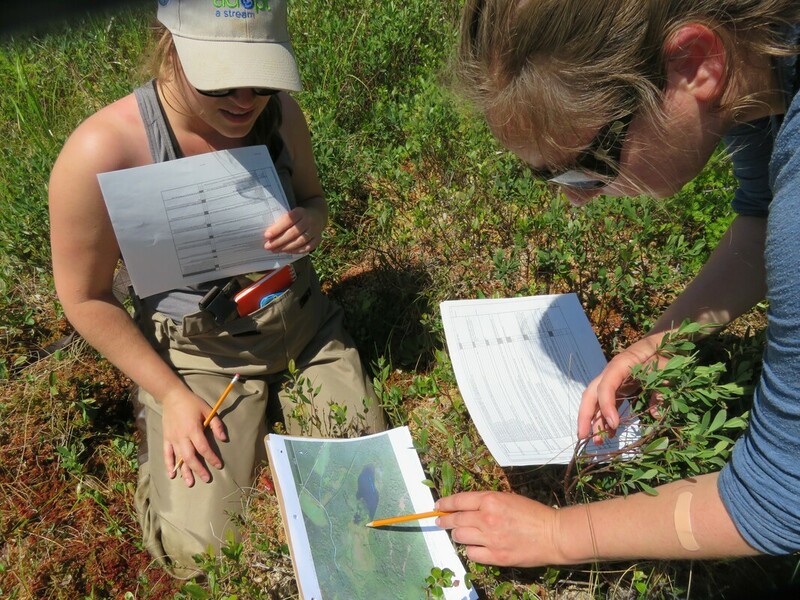 Coastal Action can provide wetland delineation services as well as functional assessments using the Wetland Ecosystem Services Protocol (WESP-AC) which has been calibrated for Atlantic Canadian wetlands. Coastal Action also offers wetland restoration/enhancement for compensation projects. Coastal Action provides culvert assessment, design, and implementation for those seeking to improve fish passage. We have personnel trained in culvert assessments and we work closely with experts from the Nova Scotia Salmon Association's Adopt-A-Stream Program to ensure consistency and high quality. Our team has assessed hundreds of culverts throughout southern Nova Scotia, and restored fish passage through many of them. Coastal Action is a leader in water quality monitoring in southern Nova Scotia. Highly skilled staff are led by our Water Quality Specialist to provide professional sampling and analysis services. Water monitoring programs can be adapted to individual needs, and can include lakes, rivers, estuaries, marine environments, and wells. Sampling frequency, sites, and parameters are chosen to suit each unique situation. Water quality monitoring services can be provided for projects of any scale, as well as to both government and private interests alike. Coastal Action has been monitoring microplastics in Atlantic Canadian waters since 2018. Using innovative microplastic sampling equipment and an expert group of scientists, Coastal Action is pleased to announce we are now offering microplastic-in-water monitoring services. Coastal Action provides services to aid in managing stormwater runoff for small and medium sized projects. Our stormwater management services focus on design and implementation of low impact developments (eg. rain gardens and bioswales), delivering rain-barrel workshops, and comprehensive consultations for the creation and adjustment of stormwater management plans. Coastal Action provides a variety of services to help assess ecosystem health.